If they want to fight Obama, they will definitely come here. Obama isn't going to bring the pain to them. Brett McGurk, the deputy assistant secretary of state, told lawmakers at a House Foreign Affairs Committee hearing that ISIL may have “changed its name,” but that it’s still al Qaeda. 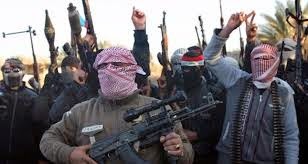 Elissa Slotkin, the acting principal deputy undersecretary of Defense for policy, added that ISIL also has its eye on the president, threatening “We’re coming for you, Barack Obama,” The Hill reported.